This is the hotel we stayed at, SERHS Del Port; I highly recommend it if you're going to be in Barcelona. It was a small boutique hotel, part of a small Spanish hotel chain; most of their properties are in rural Spain. All of the personnel spoke great English and were very friendly and helpful. Our rate included a buffet breakfast and it was wonderful. Our rooms were spacious and modern. 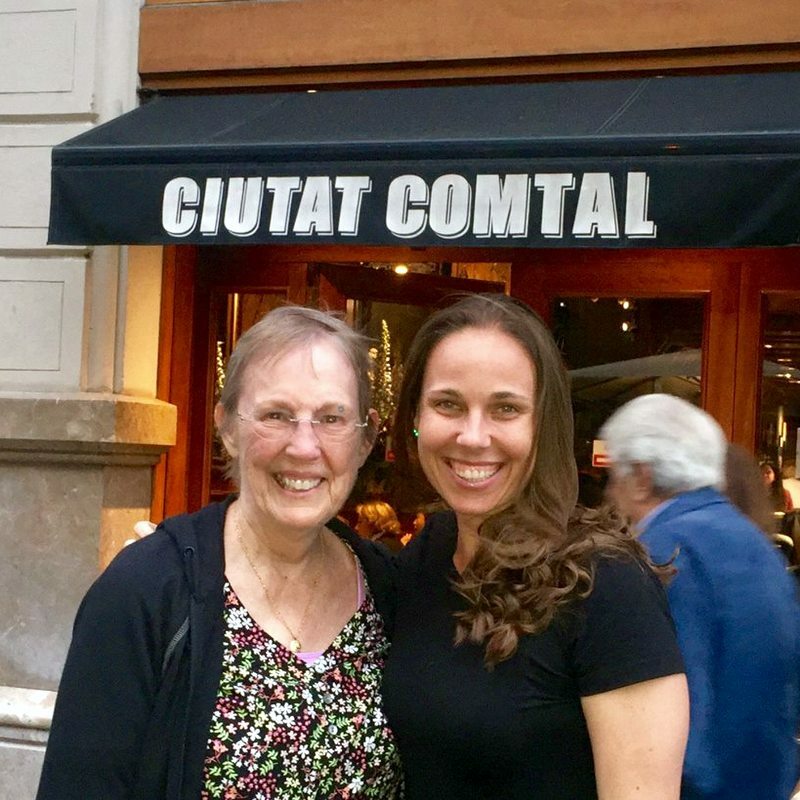 I was lucky and managed to meet my friend Melissa for dinner at Ciutat Comtal. She's been living in Madrid for two years and introduced us to the joy of tapas! Below are some of the street art I snapped while walking around the city. This guy is a "living statue of Gaudi"
There are two Hop-on Hop-off bus services in Barcelona. This is the one we used and I recommend it, Barcelona Bus Turistic, not just because it looks like a quilt! They offer 3 different routes and the buses come about every 5 minutes.